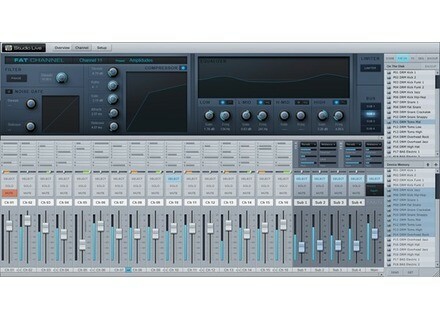 Virtual StudioLive, Other Music Software from PreSonus in the StudioLive series. PreSonus has begun incorporating Smaart Measurement Technology into the software used to control its StudioLive digital mixers. PreSonus' Virtual StudioLive (VSL) remote-control/editor/librarian software will now incorporate Smaart Spectra and Smaart Locator, tools for sound-system analysis and optimization, as part of PreSonus Universal Control 1.6, expected to be available later this spring. Smaart is described not as a single technology but an evolved collection of audio measurement tools and techniques. Using Smaart technology, users can use the StudioLive mixer's EQ to improve the sound of their P.A. system. With Smaart-equipped VSL, users can view the spectral content of their mix, and make changes. Clicking on the Graphic Equalizer button in Universal Control 1.6, Smaart Spectra's Real Time Analyzer activates Spectrograph's algorithms, displaying the spectral content of whatever is routed though a particular graphic EQ. 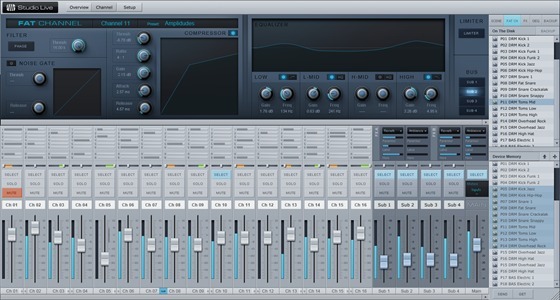 Users can activate a Real Time Analyzer, like the plug-in used in PreSonus' Studio One 2. The Smaart Spectra Spectrograph display is designed to help identify bad feedback frequencies, enabling less experienced users to tune their P.A. speakers to the room. Smaart Spectra graphs a continuous series of spectrum measurements, showing frequency on one axis, time on another, and level indicated by colors - to identify feedback frequencies, which can be easily addressed using StudioLive GEQs. [NAMM] Symphony I/O Release 4.2 The Symphony I/O Release 4.2 can be previewed at the NAMM Show, Apogee Booth #6500, Hall A.